It’s a beautiful day in Baton Rouge. 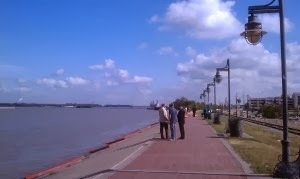 We took our lunchtime stroll on the levee and snapped a few pics to keep you up to date. 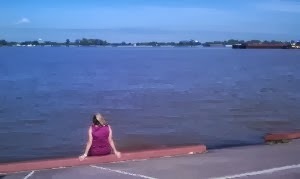 The Mississippi River is near 43 feet this afternoon and is still expected to crest between May 22 and 23 at 47.5 feet. We are relying on USGS for our river levels. At this time, no announcement has been made regarding the opening of the Morganza Spillway. Check back tomorrow for more news and photos!